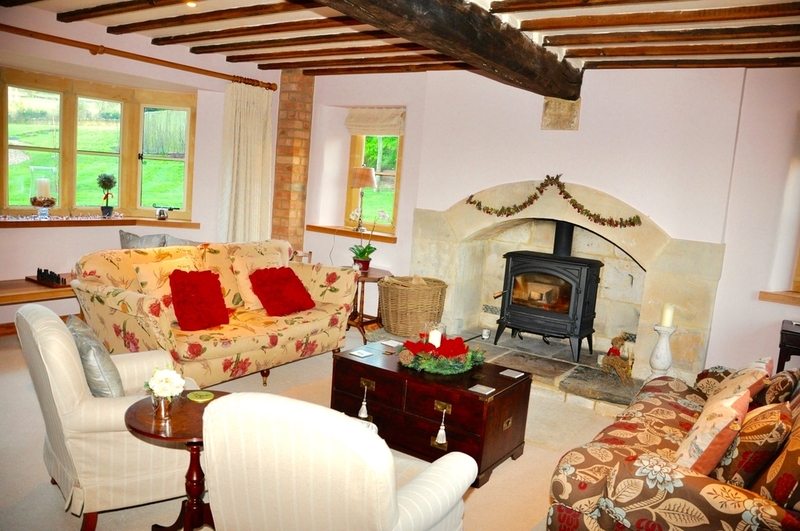 Delightfully charming, Cotswold style country house in Warwickshire with large summer house and warm open fires. 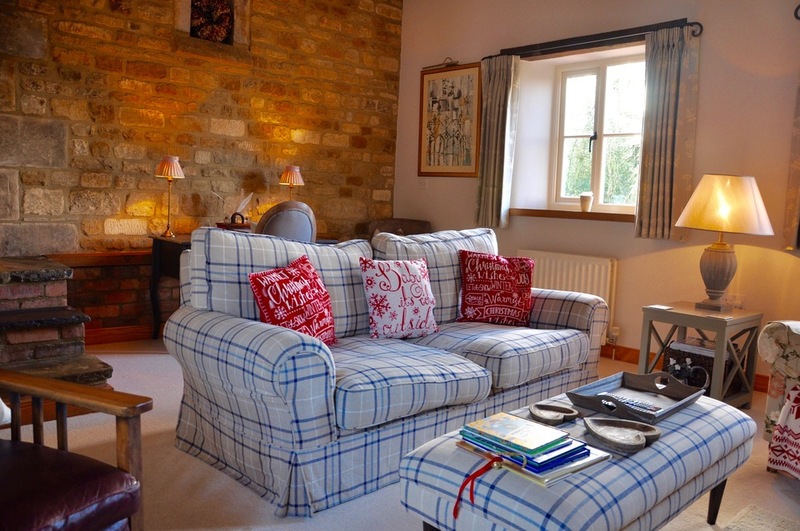 Built around 15 years ago in the traditional Cotswold vernacular style, Hillside House has seven traditional style bedrooms and four modern bathrooms that can comfortably accommodate 15 guests, making it an ideal location for any type of stay. Access to the property is through the impressive flagstoned reception hall with its handcrafted oak staircase leading to the upper two floors. The first floor consists of a large double bedroom with a roll top bath and a bathroom with shower shared with a large single bedroom, two further double bedrooms share a "Jack & Jill" style bathroom with shower and the fourth double bedroom has its own en-suite large bathroom with bath and shower. The top floor contains a double bedroom, open plan lounge area with double sofa bed and a shared bathroom with shower. On the ground floor leading off the hall is a large drawing room with wood burning fire, large flat screen TV and comfortable seating, an elegant dining room with a table for up to 12 people, a second sitting room with wood burning fire, large flat screen TV and cosy seating and a large farmhouse style kitchen. The kitchen is very well equipped with a four oven Aga cooker, electric oven, two dishwashers, breakfast bar and large dining table. Off the kitchen is a large conservatory with a Swedish log burning fire, a flat screen TV and sofa seating and a large utility room and cloakroom. Outside is a large garden with lovely views of the surrounding rolling hills, a large summerhouse suitable for entertaining, plenty of outdoor seating space, a barbecue and croquet. In a separate building is a small well equipped gymnasium, playroom and table tennis facilities. The property is situated in the picturesque hamlet of Ascott, surrounded by glorious rolling countryside on the northern edge of the Cotswolds on the border of Oxfordshire and Warwickshire. The neighbouring village of Whichford is nearby with its pretty church and its award winning pub The Norman Knight, just over five minutes stroll away, plus a great variety of walks directly from the doorstep. Ascott lies about five miles from the bustling market towns of Chipping Norton and Shipston on Stour, seven miles from Moreton in the Marsh and about 10 miles from Stow on the Wold, Chipping Camden and Banbury. Slightly further afield but within very easy reach are the City of Oxford, the spa towns of Cheltenham and Leamington Spa as well as Stratford Upon Avon. The world famous Bicester Village Designer Shopping Outlet is just over 30 minutes away, other local attractions include Warwick Castle, Blenheim Palace, The Royal Shakespeare Theatre at Stratford upon Avon, a wide range of National Trust Properties and the renowned Daylesford Organic shop and spa. For those with equestrian interests there is racing at Cheltenham, Warwick and Stratford as well as polo at Kirtlington and Cirencester. Nearby golf courses include Tadmarton Heath, Rye Hill, Brailes, Chipping Norton and Heythrop Park. The M40 motorway is close by providing easy access to London and Birmingham, Banbury train station is 10 miles away providing regular direct trains to and from London with a journey time of about 50 minutes.